Our Mission Viejo dentist office is conveniently located on Santa Margarita Parkway and Los Alisos in Mission Viejo in the Trabuco Hills Professional Center. Take the 405 (SAN DIEGO FWY) South toward SAN DIEGO. The 405 will merge into the 5 freeway. Take the EL TORO RD exit. Turn LEFT onto AVENIDA DE LA CARLOTA and LEFT on EL TORO RD. Go about 4.7 miles to SANTA MARGARITA PKWY. Turn RIGHT onto SANTA MARGARITA PKWY. Go about 1 mile to Los Alisos Blvd. Immediately after you cross Los Alisos Blvd. turn left into Trabuco Hill Center. 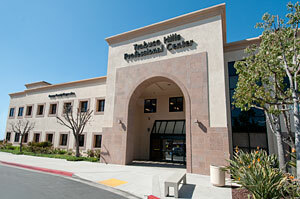 Our office is in the Trabuco Hills Professional Building to the left of Sprouts Supermarket. Take the 5 freeway North towards LOS ANGELES. Exit OSO PKWY and turn RIGHT. Go about half a mile and turn LEFT onto MARGUERITE PKWY. Go about 5 miles. Turn LEFT onto SANTA MARGARITA PKWY. Go to the next light and make a right turn into the Trabuco Hills Center. Once in center make a left and continue to the Trabuco Hills Professional Building. Our office is just through the main doors on the left Suite 120. Take the CA-241 South (toll road). Exit PORTOLA PKWY. Keep RIGHT at the fork in the ramp. Merge onto PORTOLA PKWY. PORTOLA PKWY becomes SANTA MARGARITA PKWY. Immediately after you cross Los Alisos Blvd. turn left into the Trabuco Hills Center. Once in the center turn left and continue to the Trabuco Hills Professional Building. Our office is just through the main doors to the left Suite 120.. Convenient and abundant free parking is readily accessible in the close proximity to the entrance of the building. Handicapped parking also available.